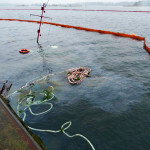 On February 21, the tug Tiger sank during the early morning hours at its berth in Sölvesborg, Sweden. 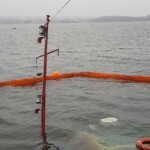 The unmanned tug was discovered to have sunk to the bottom under 5 meters of water leaving only the top of the mast on the surface. 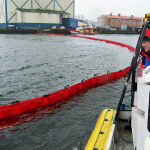 Authorities were alerted and dispatched vessels to the scene. Booms were placed around the Tiger to contain the diesel fuel spill. 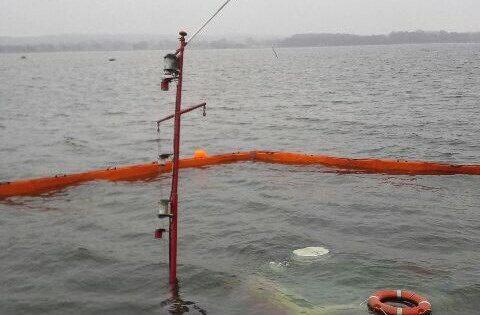 Divers were sent down and closed the vents to prevent further pollution. The Swedish Coast Guard has launched an investigation into the incident. No reports of injuries. The 141 meter long self-propelled barge Dyna allided with a bridge on the Danube at Deggendorf, Germany. The Dyna had suffered engine failure and went adrift as it passed under the bridge. The strong currents caused the barge to strike the bridge and drift until it rested against a pylon. The crew was able to restart the engine, but was unable to free itself. A towing vessel was requested to pull the barge free. No reports of injuries. The bridge sustained damage, but did not suffered any structural damage. The Dyna was en route from Deggendorf to Regensburg. 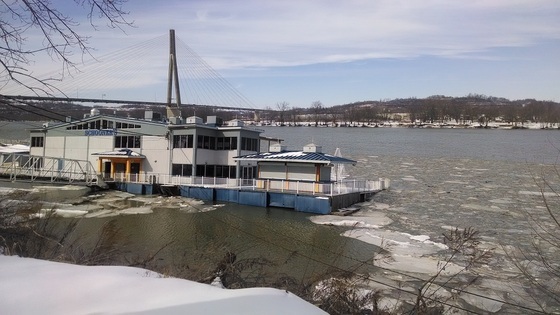 The floating restaurant-barge Schooner’s suffered water ingress at it’s berth on the Ohio River in Guyandotte, Huntington, West Virginia. 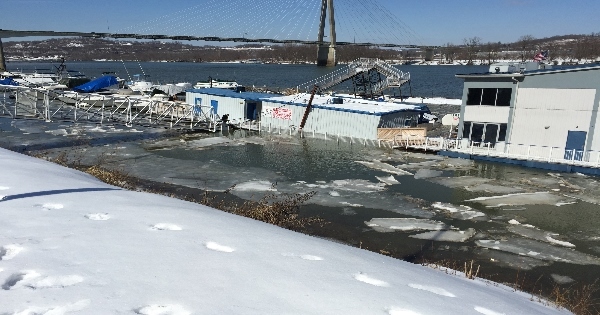 A maintenance worker alerted that the barge had suffered a leak and was partially flooded. Cables were ran to hold the barge in place while pump trucks arrived to help pump water from the hull. The cause of the leak was not yet known.